Wouldn’t it be great to know how to get more customers? Here is a question. What if you could show and tell your prospective customers how to use your products and what you like about them? What if there was a way to get your passion across in a duplicatable way – there is. I know videos are a great way to set you apart from the pack. They aren’t always easy to get done and lots of things get in the way but it is so true that the more you do, the easier it becomes. Create a video that shows your prospects how to use your products – whatever that might be – whether it is a health and nutritional product, or a body wrap or a legal service. You could create a video that highlights the main products and explains when and where they would use it. This short video is a quick example that I created for my company’s product line. You get the idea. It doesn’t have to go into all the ingredients and the features. You will convert more prospects into customers because people feel like they know you. Like they have met you via the video. Create a video to share how and when you use your products. Just a quick overview with some of the things that you really like about product X. Tell your story. Telling a story will always make your videos more interesting and personal. And it will be easier for you to create them! And remember when you are creating a video – you are talking to ONE person. Make it friendly and accessible. Don’t think about the thousands that might see it. Think about your neighbor across the street – the one you really like that is the perfect customer for your product or service. And above all – don’t try to be perfect. If you do, it may not ever get done. Just start…. It is our quirks that make us interesting anyway. All you have to be is YOU on camera. Make sure you smile more than usual and pump up the energy too. The camera responds well to movement and passion in your voice. I know I need to learn to relax more and smile more, too in front of the camera. All a work in progress! Once you have this video, then you can start sharing it online. You will have it to send out in emails when prospects inquire. You can post it on Facebook and in Facebook groups. You can write a blog about it. You can publish it on Youtube. Videos are so multi-purpose. And they last. You can use them over and over again. 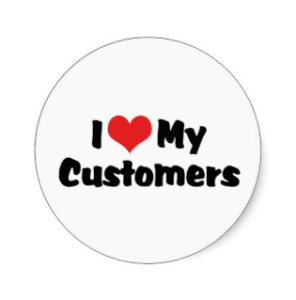 And people love seeing and hearing you share what and why you love your products. And I would expect that you would be one step closer to figuring out how to get more customers. I hope these network marketing tips are of value to you. Click here for more network marketing tips. If you learned something in this article, share it on Facebook! Also, comment with your thoughts below. Storytelling is an ancient tradition – one it seems we are still hardwired for today. One lesson that I share in my free Art of Success eBook is that “facts tell, and stories sell.” Really, what this means is that we emotionally connect to stories. We don’t always remember statistics or facts, but we can recall a story we heard years ago. In business, some of the most powerful stories are in the form of testimonials. If you’ve been using the Luminesce skincare line or our other Jeunesse products for a while, you may have grown accustomed to a great thing. Remember, most of the world still has not heard of Jeunesse! Testimonials about how these products have changed lives will fuel your passion in sharing them. I often say, Jeunesse is the easiest thing I have ever not sold. I don’t feel that I sell Jeunesse – I just share it with people. Everybody wants to feel better and look younger. Keep some stories in your back pocket so you can relate them to others. I often share the amazing-but-true story that after using the Luminesce skincare line for just six weeks, my esthetician said I had a 50% reduction in fine lines on my face! What a feeling to know that I am turning back the clock. As you share the Jeunesse products and opportunity, you will notice a couple things. First, people’s interest will pique as you share others’ stories. Whether these are inspiring stories of a successful distributor or life-changing product testimonials, these stories help people make the connection, ‘If it worked for them, it can work for me.’ Lead with stories, and back the stories up with the facts. Second, people will tell you their own stories. Since the day I started sharing Luminesce and our other Jeunesse products, I can’t tell you the number of times people have confided in me about their skin and aging concerns. I’m not a doctor, so having product testimonials handy is a great way to relate to folks, letting them know they are heard and that there is a groundbreaking solution that has the potential to transform their skin. What are your favorite Jeunesse testimonials? Share below! Jeunesse Products… why I love them. We make a difference in people’s lives, their health, and how they feel about themselves. Isn’t that what we all want, to make a difference? We can share our products all around world. We are in over 80 countries already! This is a global opportunity to create wealth for our families. Our products work for so many people. The Luminesce line helps people with an array of skin issues including acne, sun damage, dryness, fine lines and wrinkles, elasticity, and more. Our products are backed by science, and we have our own medical advisory board. 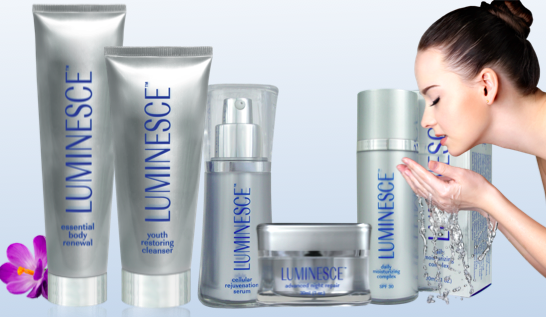 The Luminesce product line is based on adult stem cell technology, which is why the results we achieve are so tremendous. Our products feel great! Using the Jeunesse products is an easy habit to get into. They are cost effective and, since people need to buy skincare products anyway, making the decision to try them is simple. What are your favorite Jeunesse products and why? Comment below!